Is this for only the iPhone 4? I have a 3GS new bootrom and just used the website to jailbreak and it's also unlocked now too. Also was able to edit my APN for my edge/3G carrier. Just letting you know. But if this is for the iPhone 4 than it doesn't matter. Thanks guys … u guys are genius… keep up the good work. i have a jailbroken and unlocked iphone 3.1.3 on firmware 05.12.01 can i update to ios 4 and jailbreak and unlock again? 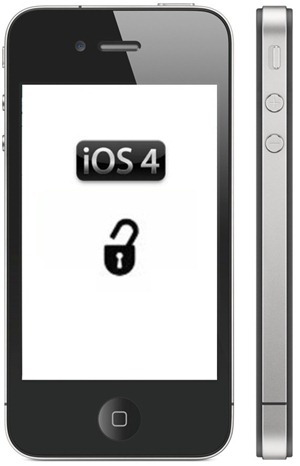 What time for Unlock for iPhone 4 on iOS 4.0.1 to be Released?? where is the unlock for iphone 4? This is Axeman83 telling everyone how to do it…..
Use http://www.jailbreakme.com via safari, once done open Cydia and hit user graphical, then quickly hit the Cancle button top right to stop the repository loading. Click ok on the promt. Click on manage at the bottom click edit then add. http://repo666.ultrasn0w.com. let this update. Sometimes it crashes but it should be ok just reset it (sometimes switching to and from cydia will fix this). when finished click return to cydia. now click done top right and then click the ultrasn0w you just added. click ultrasn0w and click install and confirm. now just wait and hit reboot when it shows. Sometimes updates will show just click ignor temp and this will fix the problem. is this for both jailbreak and unlock or for unlock step only? do I need to do jailbreak first? also, can this be done with iphone 3g with the newest updated software? thanks. does can i jailbreak ipone4 4.0.1 firmware? i try it once is no works. why?